For the best part of the past week Jean, Mark & I have been in Punta Arenas, Chile the most southerly city in the world preparing for our departure even further south to Antarctica. Initially I thought that seemed a long time to add the finishing touches to a trip I have been planning intently all year and in part for at least two before. How wrong I was! 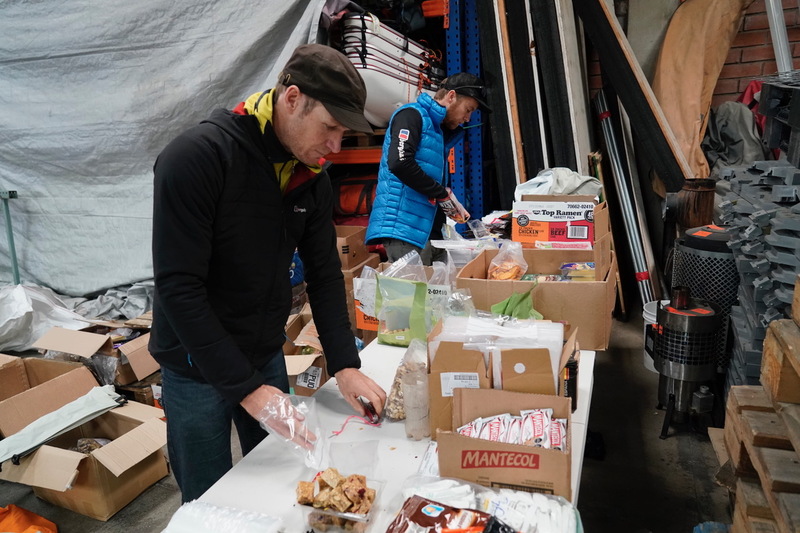 We have barely stopped the endless faff, sorting 69 days food, packing and repacking our kit, trying to shave weight whilst constantly considering the myriad obstacles we will face. Food in particular has been a stress. We have 210 man days of remarkably tasty dehydrated meals for breakfast and dinner made by a small company from Dorset called Firepot, specially packaged in 3 portions bags with extra ingredients for added fat and protein. Then we have 2 ziplock bags each per day, one savoury containing 50g of cheese, 50g of salami, 40g of beef jerky, a pack of military biscuit browns& 40g of butter. The sweet 100g of nite size chocolates, 100g of mixed nuts, 50g dried fruit, and a chunk of flapjack. A bar of chocolate and a packet of soup along with 6 fresh food feasts is everything we will consume until the end of January. It weighs a bit over 100kg each and must fuel over 1000 miles of travel is the wildest corner of earth. Finally we are pretty much ready. 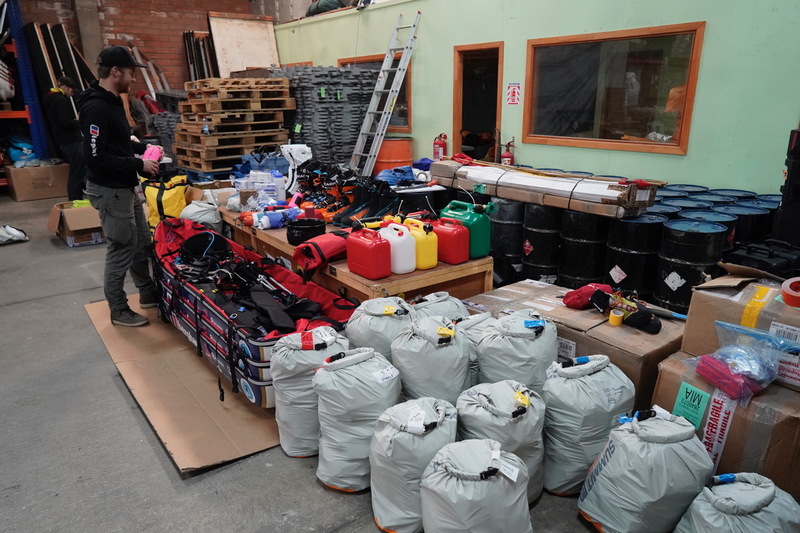 It’s after midnight and at 6am tomorrow we leave for the airport where an iconic Russian Cargo plane called an Ilyuson 76 will take us and our 600 kg of the lightest equipment & supplies money can buy into the adventure of a lifetime. 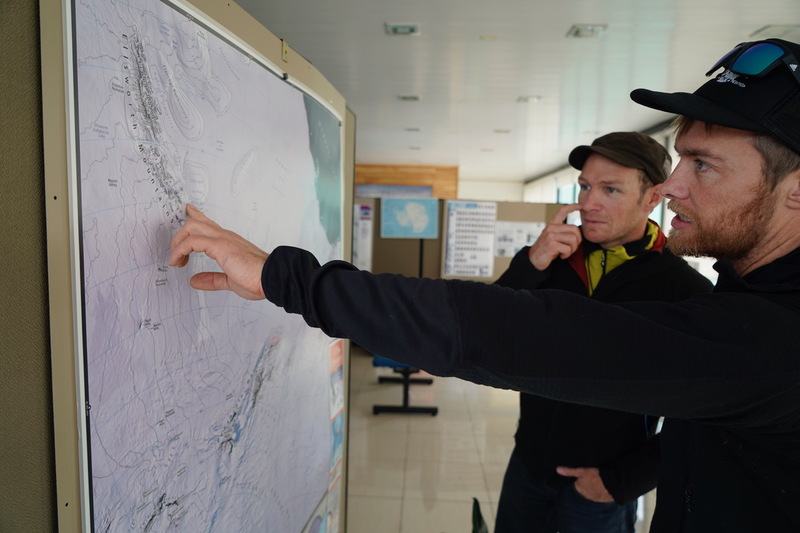 The multi faceted nature of this expedition is presenting all kinds of unique concerns. 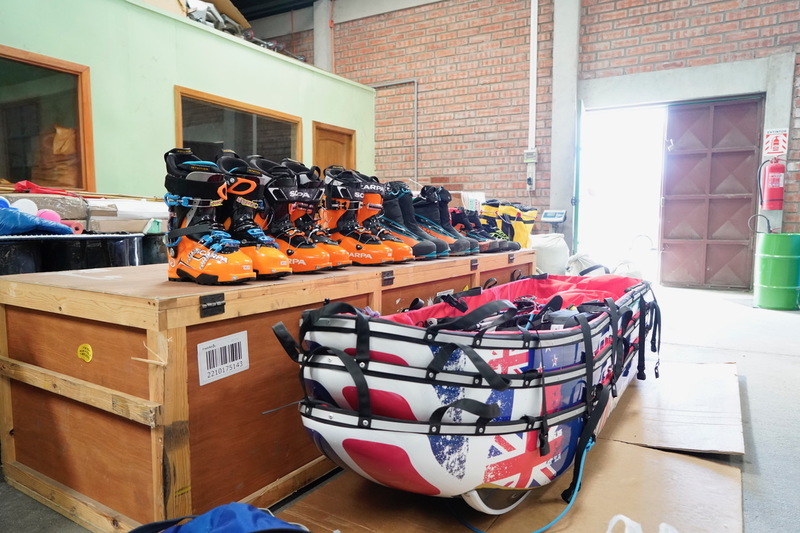 Primarily the large amount of activity specific equipment we must carry the whole way, that will be useless dead weight apart from when we are in the stage of the trip at which point it is absolutely mission critical. We are so dependent on the wind. The reliable and predictable katabatic wind patterns that have been fundamental to the strategy developed for this trip have been somewhat atypical for the last week. Although they will be fine for our approach, the fact they are not following their usual patterns is causing me concern. So much of the later stages of the trip rely on typical wind patterns. All over the world we are witnessing unusual weather events. This could be our undoing resulting in very expensive unfavourable wind! It is early season in the short Antarctic summer and our drop off at 88’S, 100’W is close to 2800m in altitude. The high latitude exacerbates the effects of that altitude. With luck, in just a few days we’ll be there, fresh off the plane with our mountain of kit. The magnitude of our undertaking is impossible to ignore. I am nervous, probably more than excited. But I am excited, having dreamed and schemed for so long. I am stressed, but mostly right now I am tired, I must get some rest in the last darkness we will see before the endless days of adventure lead us back here at the end of January! My goodness, be careful fun what you wish for!